In 1973, Pete Seeger seemed to predict the early 21st century, but he was just looking around his society when he wrote: “Americans are drowned in words. . . . We’re also drowned in pictures”. . .more information than we can use, more than we can make sense of, more than we can protect ourselves against. His brief essay turns immediately to a special case, “the independent graphic artist,” a painter, say, who would have provided the wealthy with something to hang on the wall. The figure of this artist serves to sharpen a hopeful contrast. For Seeger, there was underway a contrasting revival of traditional open-air murals, by which artists great and modest communicate directly with the people who live around them. Not hidden away in the houses of the rich, not guarded by museum and university experts, street murals “fill a need for communication between all people.” There is an opportunity for honesty and independence that can break the silence with “ideas which will not be said by our politicians–ideas which need to be explored in public.” Something real is at stake, then. For one thing, by painting in public spaces, artists remind fellow citizens that “we are not 100 percent at the mercy of the media.” Communicating on their own, independent from the houses of commerce, freed of those venues’ predictable formulations, and more free in general to speak, people will begin to remake the world according to their own needs and values, Seeger said. For him, the people’s values are fundamental and far-reaching: “We are going to unite for peace, freedom, jobs for all, and a clean, unpolluted world to share.” No narrow focus on commerce there. That last little bit matters, because he means that the process of social change is exploratory. It involves clarifying basic values together, in public, and it includes affiliation and action. It’s a process that has a better chance using public media of wide circulation and participation. The painting on the wall of the millionaire’s study won’t do it; media broadcast to the passive millions won’t do it either. Murals aren’t just records of the time or bursts of expression, then. They are part of the process of social change. The same must be true of social media today. Pete Seeger’s small essay is the forward for a 1973 book called Mural Manual, which had chapters on every aspect of producing street art formed the body of the manual. 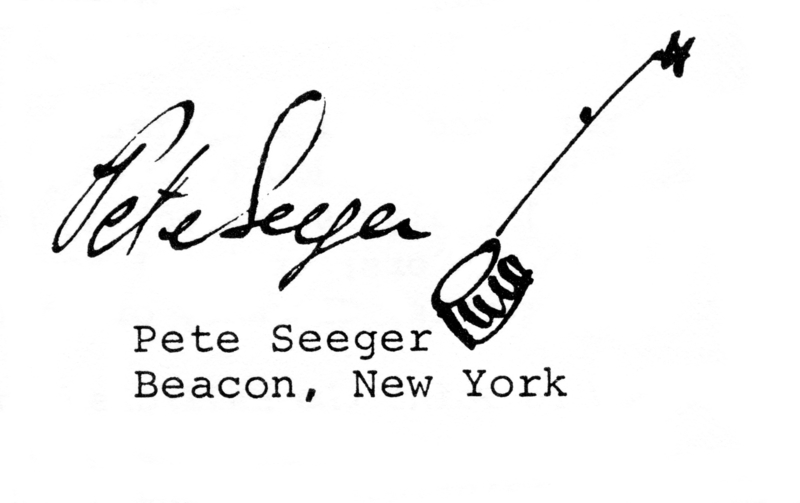 Citizens need comparable skills–perhaps a comparable manual?–for the speaking and writing tools of active citizenship today, for all the reasons which Seeger mentioned when he spoke about art.